Quicksticks is a fantastic new sport for primary age children; a junior version of hockey. Thank you to everybody who donated Active Kids vouchers from Sainsburys last year. We exchanged the vouchers for a class set of Quicksticks hockey sticks and balls so all KS2 children have been able to learn the skills and play lots of fun mini-games. 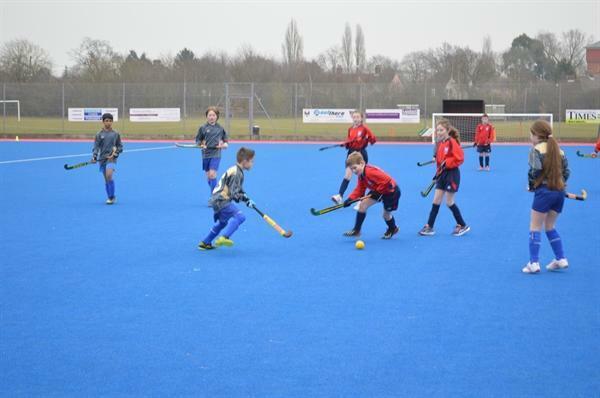 The Quicksticks Club for Years 5 and 6 has also proved very popular with after-school sessions on the Ramsey astroturf and netball courts. All club members were very excited to receive an invitation to the district Quicksticks tournament at Phoenix Hockey Club in Braintree. 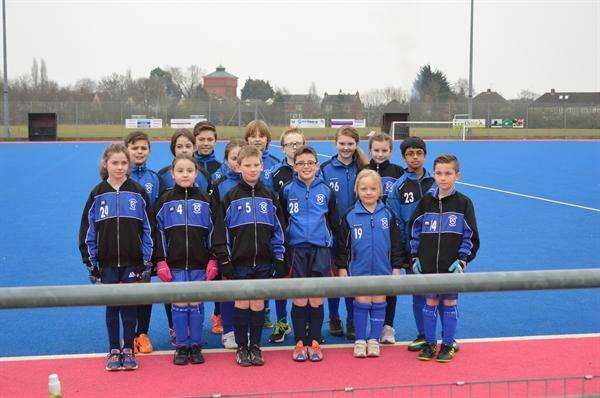 We entered 2 teams and both the ‘reds’ and the ‘blues’ looked very smart in their school kits. 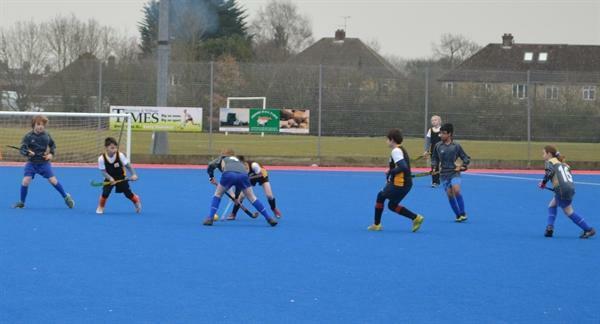 The matches were played on a brand new blue astroturf pitch. Playing positions were rotated so everyone had a chance to shoot. Tom M, Sam and Tom L. were prolific goal scorers, making a significant contribution to the total of 20 goals scored by our teams. India and Tahseen set a great example as team captains by encouraging our young Year 5 players as they competed against Year 6 opposition. Joshua was definitely not daunted by the older players and displayed an amazing work rate. 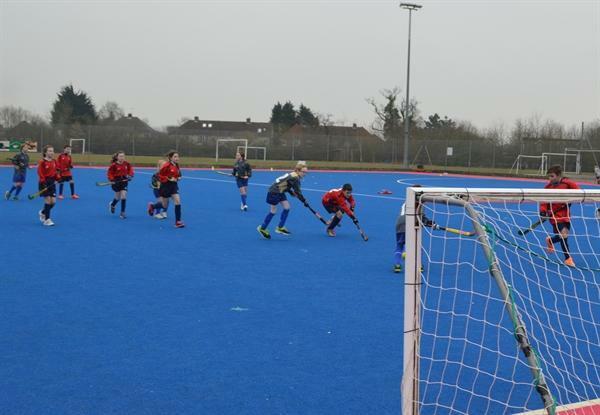 The eagerly awaited final match was a head to head between the ‘reds’ and ‘blues’. It was played in an atmosphere of very sporting friendly rivalry and everyone had a brilliant time. The ‘reds’ triumphed 3 : 0. Final results: Reds: 3rd (won – 3; drew – 1; lost – 2) India, Sam, Ben, Joshua, Tom L, Eleanor, Katy, Fern Blues: 6th (won – 2; lost – 4) Tahseen, Liam, Bradley, Tom M, Katie-May, Ellie, Chloe, Izzy We are now collecting 2015 Sainsburys Active Kids vouchers. Please post them in the box in the school entrance. They make a very important contribution to the sports resources at St. Andrew’s. THANK YOU.